The Windows Subsystem for Linux (WSL) is a new Windows 10 feature that enables you to run native Linux command-line tools directly on Windows, alongside your traditional Windows desktop and modern store apps. When you have Windows Subsystem for Linux (WSL) enabled, you can install WSL distro apps from the Microsoft Store, and export and import WSL distros. The first time a newly installed WSL distro runs, a Console window will open, and you'll be asked to wait for a minute or two for the installation to complete. Once installation is complete, you will be prompted to create a new user account (and its password). It is your default user -- it signs-in automatically on launch. 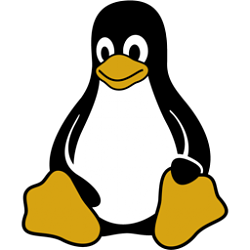 It is Linux administrator (a member of the sudo group) by default. Each Linux distribution running on the Windows Subsystem for Linux has its own Linux user accounts and passwords. You will have to configure a Linux user account any time you add a distribution, reinstall, or reset. Linux user accounts are not only independent per distribution, they are also independent from your Windows 10 user account. When you open a new distro instance, you won't be prompted for your password, but if you elevate a process using sudo, you will need to enter your password, so make sure you choose a password you can easily remember. If you have access to your Linux user account and know your current password, you can change the password using Linux password reset tools of that distribution -- most likely passwd. If that's not an option, depending on the distribution, you may be able to reset your password by resetting the default user. WSL offers a default user tag to identify which user account automatically logs in when you start a WSL. Since many distributions include commands to set the default user to root and also a root user with no password set, changing the default user to root is a handy tool for things like password reset. This tutorial will show you how to reset the password of a user in a Windows Subsystem for Linux (WSL) distro in Windows 10. 1. Open a command prompt or PowerShell. This command will change the default user to root for the WSL distro (ex: "Ubuntu"). 3. Copy and paste the command below into the command prompt or PowerShell to run .exe file of the same WSL distro (ex: "Ubuntu") above, and press Enter. 4. Type the command below into the command prompt or PowerShell, and press Enter to change the password of the user (ex: "brink"). Substitute <username> with the actual UNIX username (ex: "brink") you want to reset the password of for this WSL distro. Enter new UNIX password for this username. Retype new UNIX password to confirm. 6. Type exit into the command prompt or PowerShell, and press Enter to logout of this WSL distro. Substitute <username> in the command above with the actual UNIX username (ex: "brink") you want to be the default user for this WSL distro. 8. When finished, you can close the command prompt or PowerShell if you like.